A whole day of running around akin a headless chicken from one end to the other all for the sake of a phone (Iphone 7), thank god I had a protein drink prior to leaving home at about 9.30am. Otherwise, most probably I would have collapsed from exhaustion and frustration. Nonetheless, skipping meals for whatever may come and go I know is a pathetic lame excuse. Yet, that was the case even though I could have at least grab a snack in between. Still, food was completely forgotten due to the hack of driving, caught in the jam, as well as going round and round to secure parking. Finally, at about 6pm while passing by my once a upon a time Subang Jaya territory, I not only felt sentimental seeing the college where I used to loyally and faithfully educated students(Vanilla - The Milie Crepe Cafe), hunger also massively struck in my already noisy gut tummy. The bygone good and bad memories of my teaching years I managed to quash up (Good Friends Restaurant & Cafe), but I couldn’t hold on to my hunger throne anymore. Thus, I told my co-pilot to quickly turn into the row of shops facing the main road for a bak-kut-teh meal. Despite knowing well there are more bkt shops behind where I have dined before, between those at the front row, in no particular random order, we opted for Da De. Presumably just opened for business, we were the only customers in this clean and nicely set up eatery. 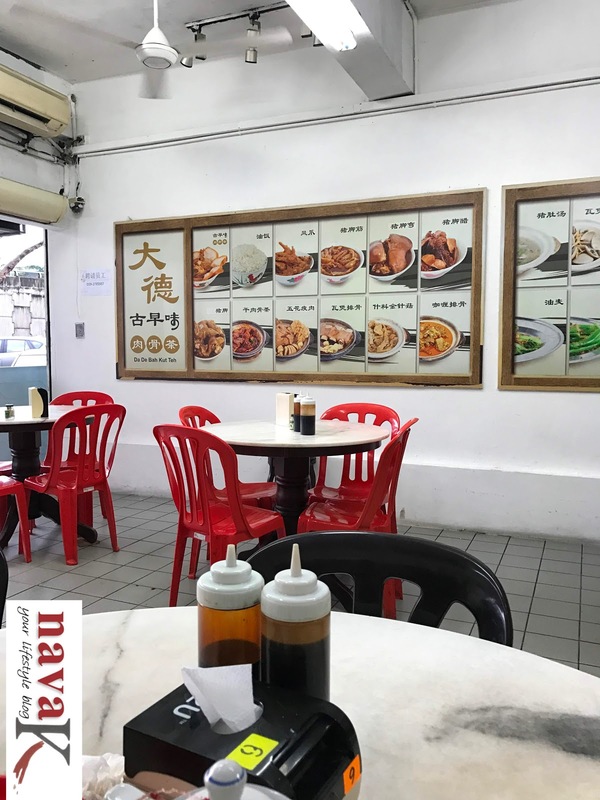 Once we were seated, I glanced through the hunger triggering wall menu to sort of conclude on what to order from the quite a selection of dishes. 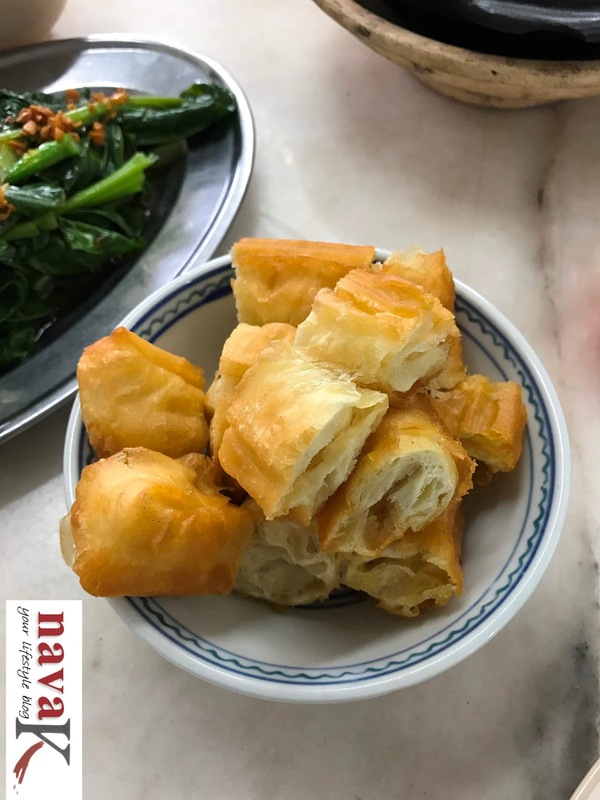 Yet when the printed menu was handed over, I still flipped through it to confirm on Pai Kuat/Pork Ribs with Flat Brown Tofu Sheets & Taufu Pok, Choy Sum Garlic, Yew Char Kueh/Chinese Cruller or I also call as “Fried Dog Bone” and a pot of Jasmine Tea. Tea arrived within the next few minutes, but food seem a little on a slow space. I could understand why. That same guy who took our order also fixed the tea and was in the midst of preparing the food. Anyway, as hunger was the only thing on my mind at this point of time, I didn’t care who is lighting up the fire to cook. If food didn’t arrive soon, I probably would have entered the open kitchen to cook my own meal. Just when I was about to call out again, the guy had completed his task of serving us. First and foremost, I slurped the bkt broth. Essentially the key to a tasty bkt, honestly, it was pretty good. Yes. 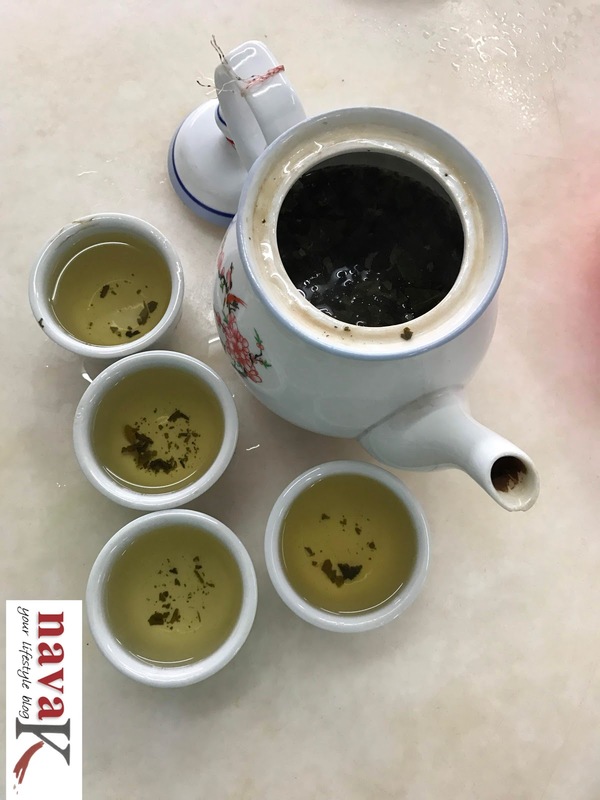 Not strongly scented with Chinese herbs, neither to diluted or thick, thumbs to the sumptuous broth. Seriously, I never expected such a bkt from an eatery I never knew existed neither have I heard off. 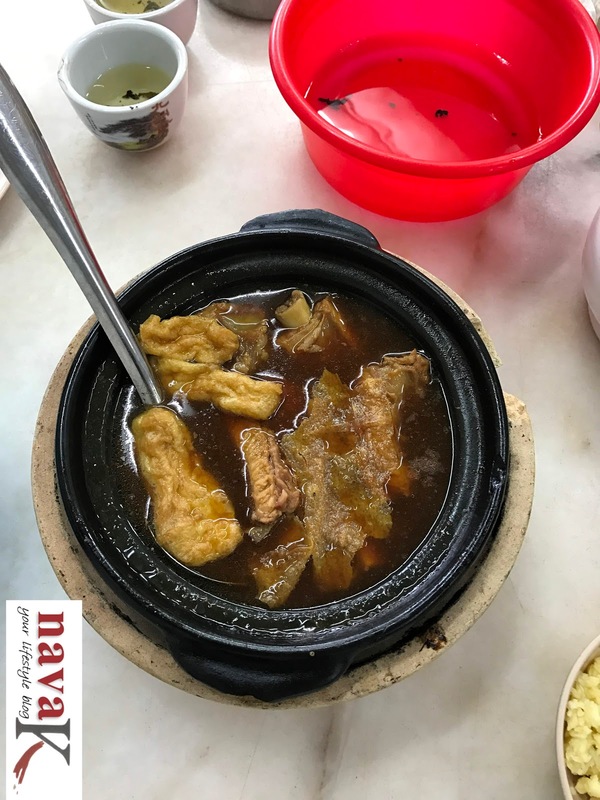 Additionally, I wouldn’t complaint on the tender pork ribs and both types of tofu soaking in the broth, also, the crispy char kueh which came through as though just fried up. 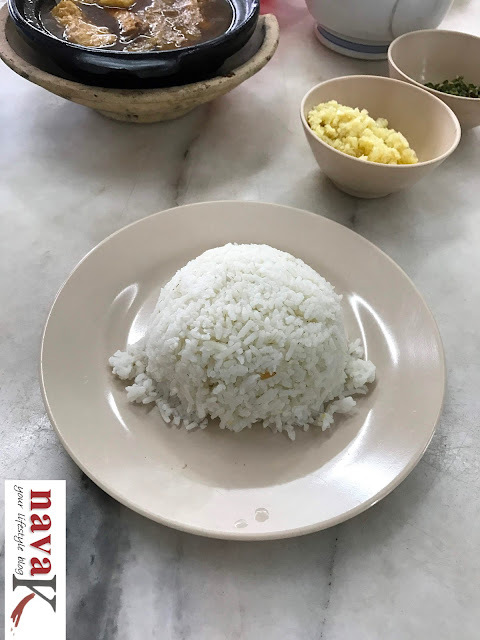 When all of these were eaten with rice and soaking in soy sauce birds eye chillies and garlic, it was an instant heavenly technical knock out. On the other hand, the simply prepared choy sum garlic and jasmine tea were so ordinary as in other Chinese restaurants. 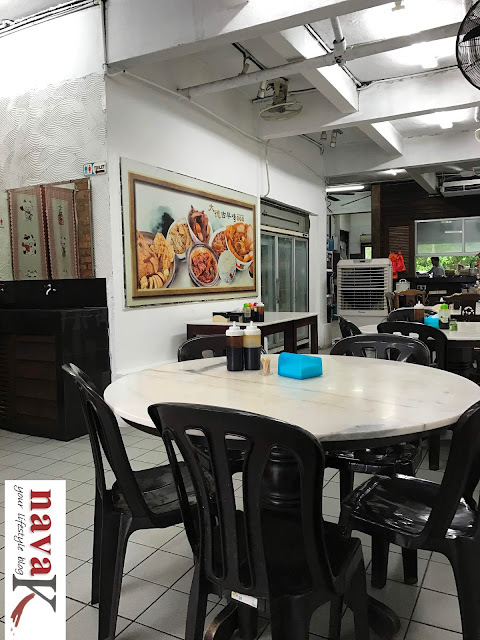 Just as we were settling the bill (approximately RM27.00), we exchanged a faint greeting with the owner who hurriedly walked in from the back entrance. 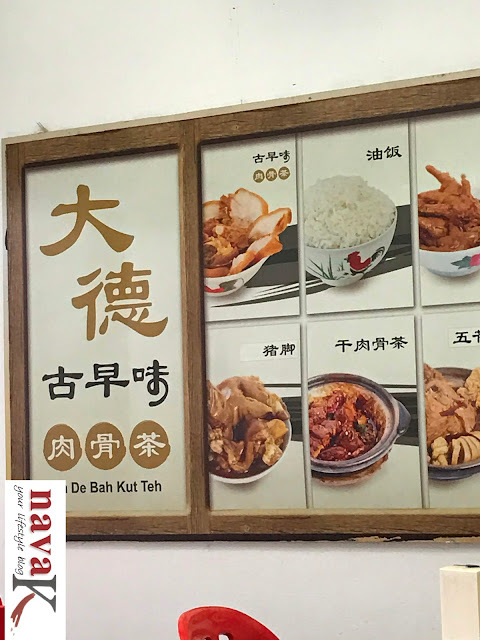 Prior to leaving Da De Bak Kut Teh, I made the owner happy by telling him that the bkt I had is one of the best among the many I have tried. Eyeing the broth and the greens. They look so yum! 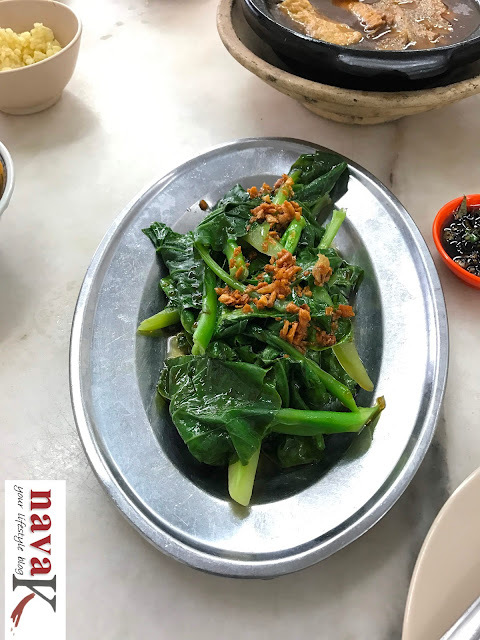 Waiting for food can be terrible esp if u are very hungry n i get hyper if i dnt get food.. from ur experience it seems worth visiting..
My kind of Chinese food..I miss that garlic choy sum. Food looks marvelous...!! Love your write up...!